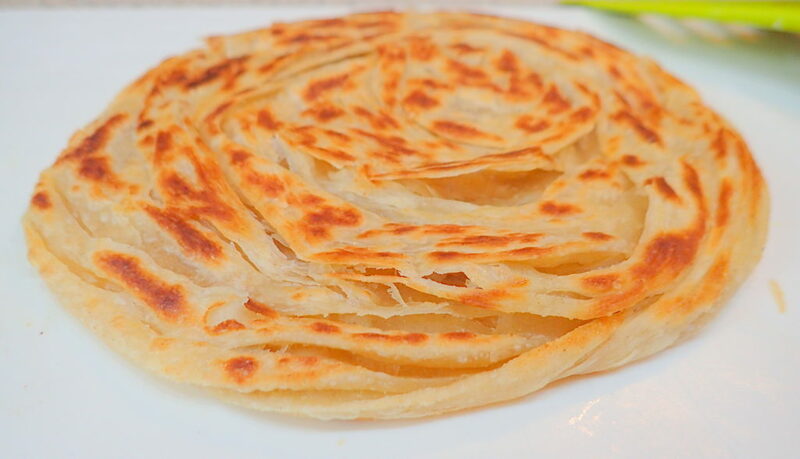 Roti essentially means bread. 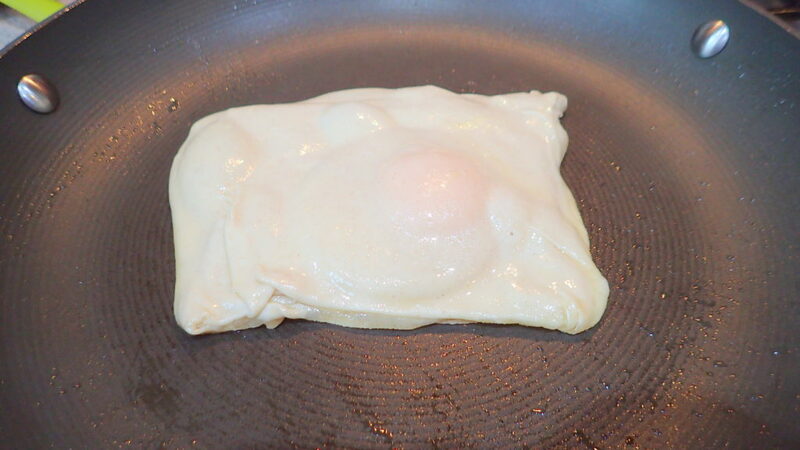 Roti Canai is so versatile. 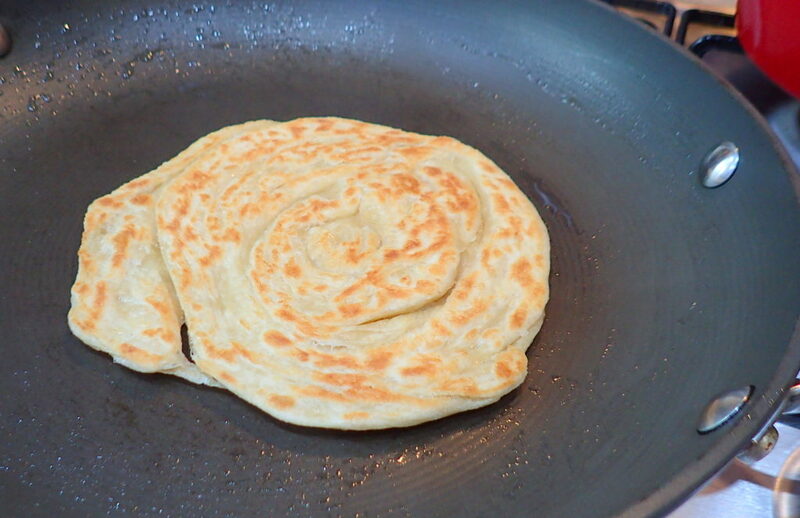 Traditionally roti canai is served with dhal (lentil curry) or any type of curry, such as mutton or chicken curry. 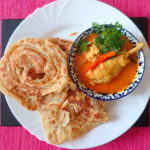 However, the versatility of roti canai as the staple lends itself to many variations, either savoury or sweet, with a variety of toppings and fillings, which includes eggs, banana, sardines and onion. In Thailand, it is usually served sweet – typical fillings include condensed milk, peanut butter, jam and nutella, without the curry of course. 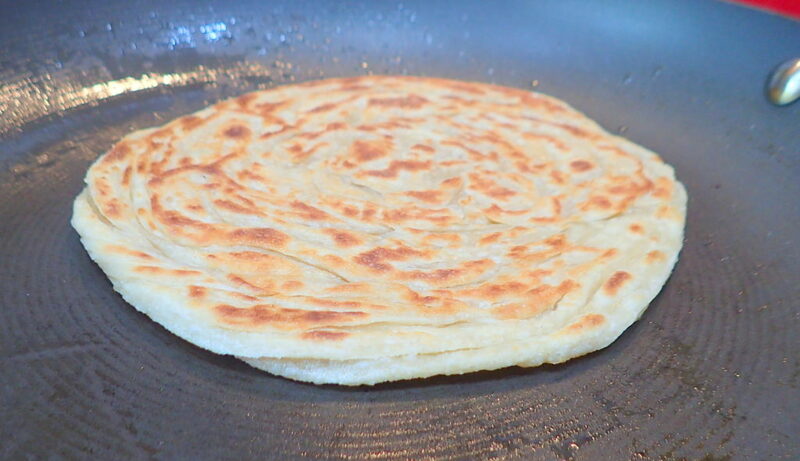 Roti Canai is typically made from flour, salt water and copious amount of ghee. 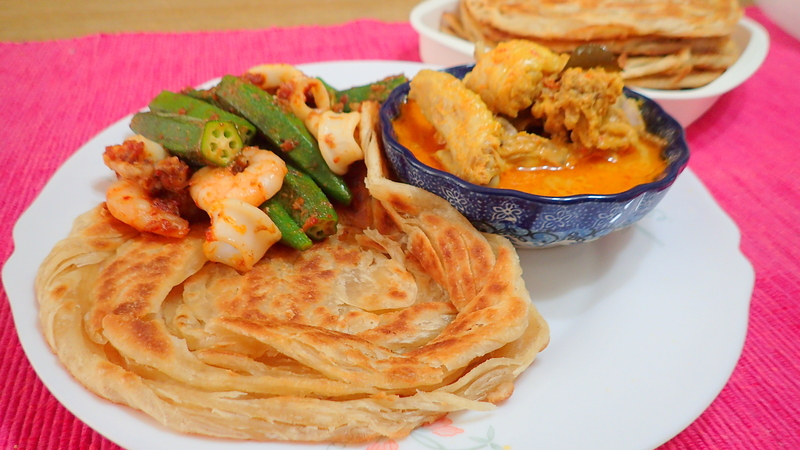 Read more about Roti Canai here. 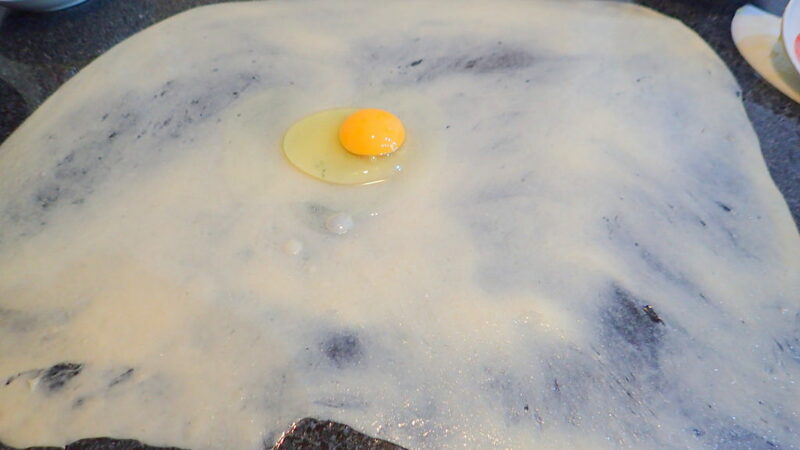 Meanwhile mix the sugar and salt with your water together with the beaten egg. 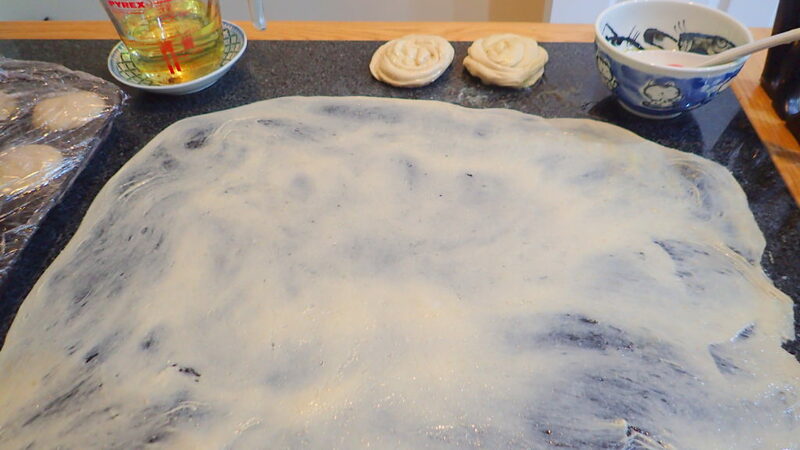 Add the liquid slowly to your dough and mix slowly. Take your time and enjoy it. It took me an hour to get a ‘smooth like a baby bottom’ ball. It was no hardship as I was watching television anyway. 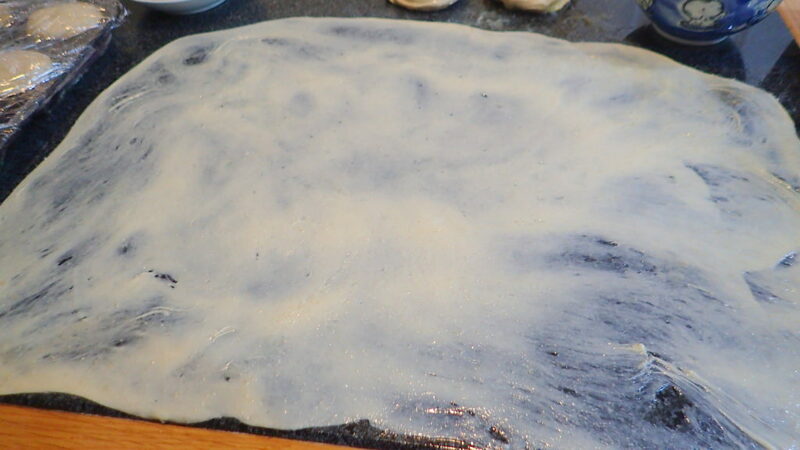 I am sure you can use a stand mixer to mix the dough but I have not tried. 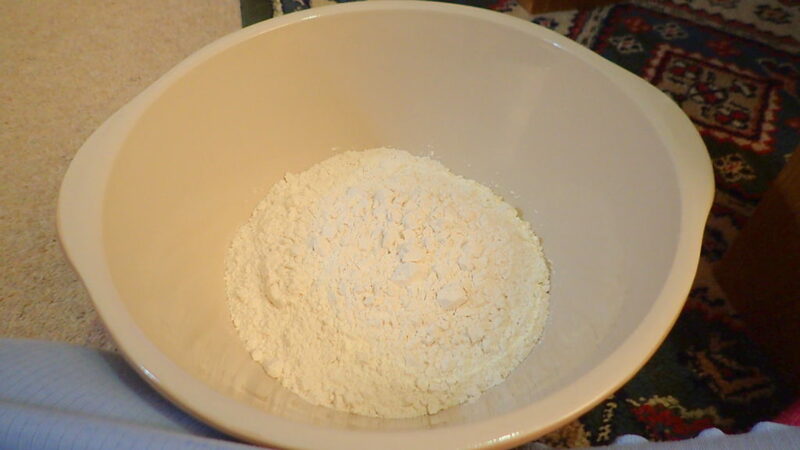 I suppose like all dough you will have to mix flour with water then the water + salt + sugar and egg. 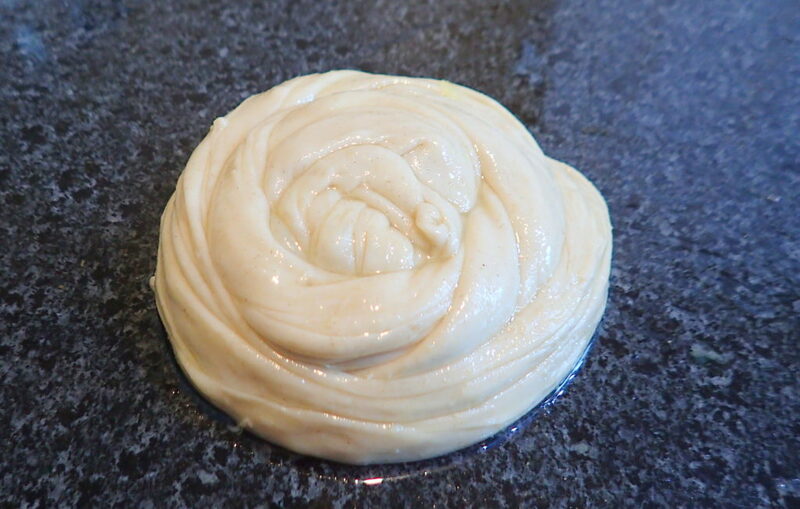 Pause and wait between each mix till you get a smooth dough that’s a bit tacky. Immediately divide the balls into palm size about 80g to 100g is what I prefer. 80g is perfect for my granite rolling space. 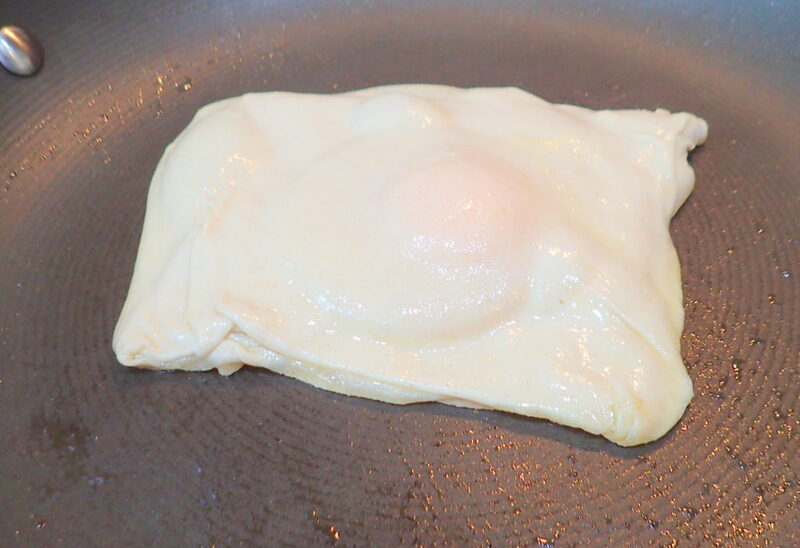 Cover the balls completely with oil before placing them into your muffin tin. 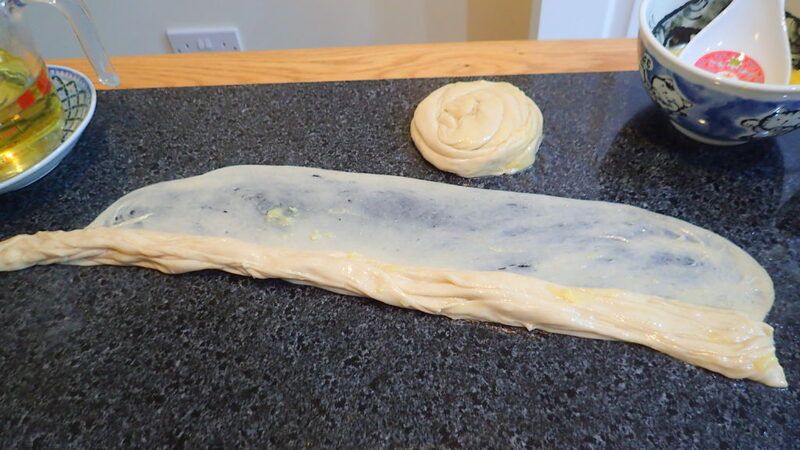 Wrap with cling film a few times and leave till the next day when you are ready to cook them. For rolling out the roti dough please refer to photos. 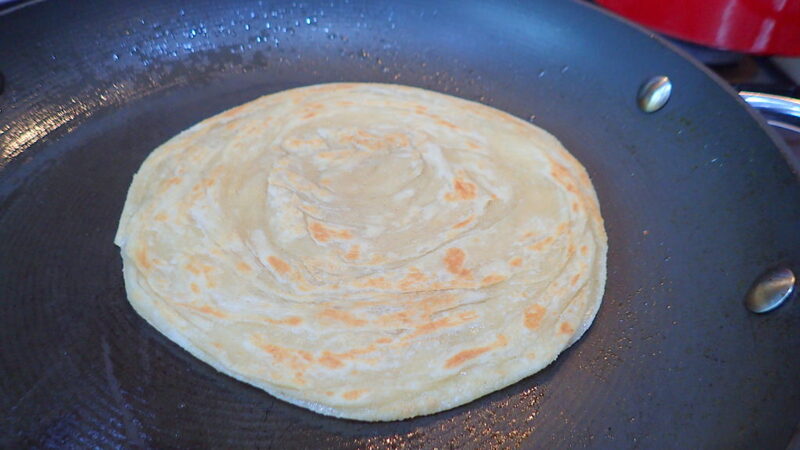 Please remember that the working of the dough is the most important part of making a nice roti. Be patient with your dough. Take your sweet time to make sure it is smooth before you divide them. It is also important that you divide and roll them gently and nicely into a round ball before you oil them and place into your muffin tin. 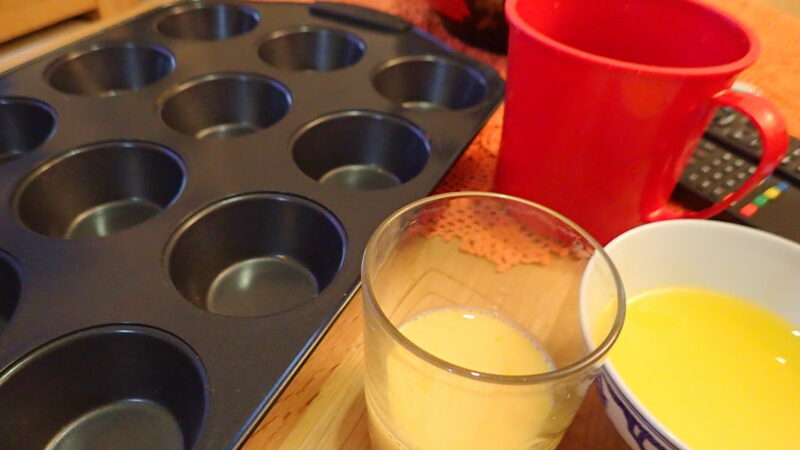 Using the muffin tin uses less oil. If you want to store into a box you will need a lot more oil. 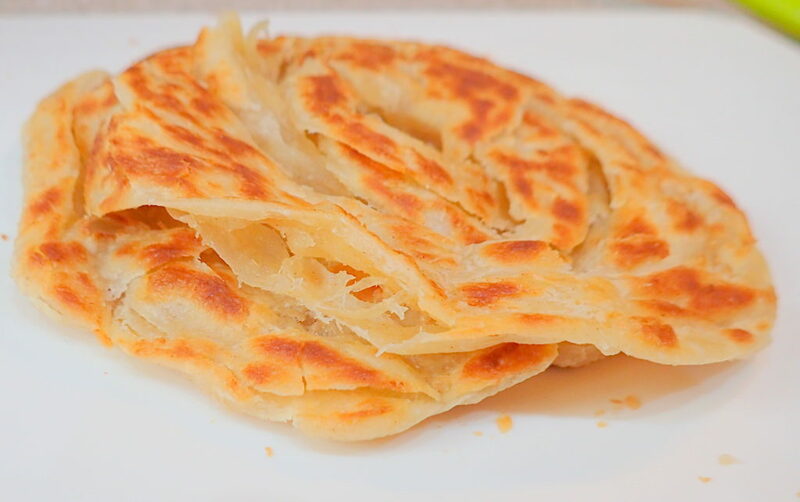 TIP – I used melted ghee because it is not often I eat or make roti canai and I want to eat FULL flavour. 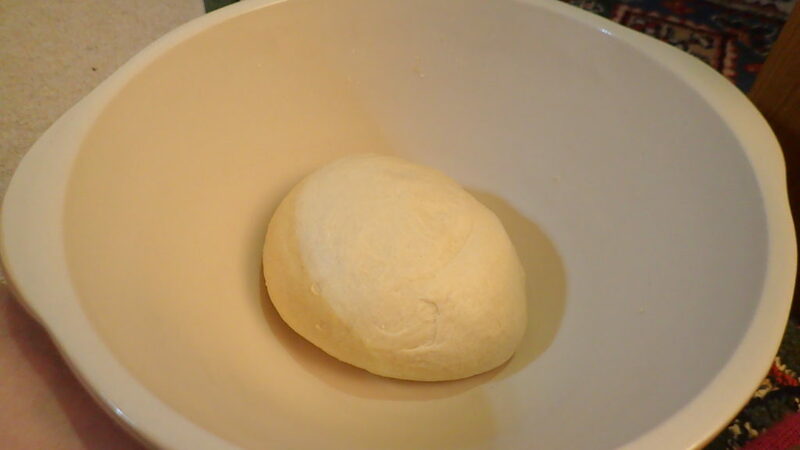 The dough is like a husband. You need to coax him slowly, let him think it’s his idea all along and then he will do exactly what you want. kekekekekeke p/s – I made a big pot of curry sauce so that the next day we can have curry noodles. It’s called planning ahead.